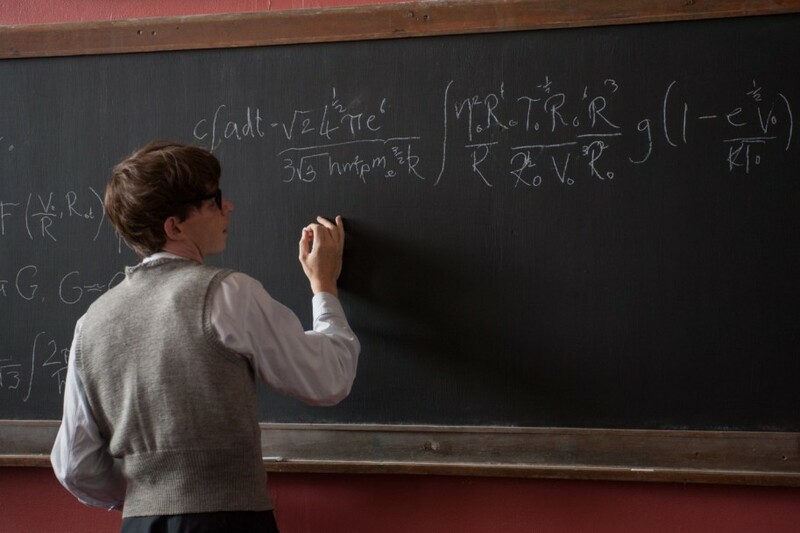 The Theory of Everything – Did You See That One? 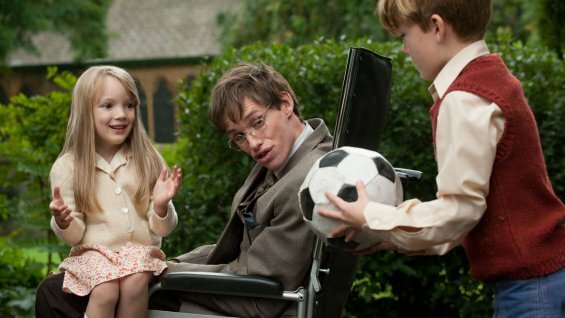 Before Stephen Hawking (Redmayne) became the world-famous physicist he met Jane (Jones). As their relationship blooms, Stephen begins to suffer from the devastating effects of A.L.S.. The disease doesn’t stop them from embarking on a unique journey of life together. Jane Hawking wrote “Traveling to Infinity: My Life with Stephen” in 1999. The book is a unique look at her life with Stephen Hawking. Anthony McCarten (Show of Hands) took his interest in Hawking and applied it to the adaptation used for this movie. After the screenplay was completed, James Marsh (Shadow Dancer) signed on to direct the film. The impressive cast includes Eddie Redmayne (My Week with Marilyn), Felicity Jones (The Invisible Woman), and Emily Watson (War Horse). David Thewlis (Harry Potter and the Deathly Hallows: Part II) and Charlie Cox (Stardust) are also featured. It’s always interesting to see a film made about a living person. The margin for error is much smaller when the subjects of the film are involved in the production of the film. This time it was Anthony McCarten’s job to get things right. Doing so required cooperation from Jane Hawking, who took her time in giving her approval to the project. The process took close to a decade before the film was given the green light. The result of this patience and hard work is an emotional and touching story. The dialogue isn’t sappy or sentimental, and feels perfect in this one. The story also overcame the difficult complication of telling a story that spans more than 30 years. With the select events depicted, the story really captures something special about their unique marriage. It’s also great that the film doesn’t seek to avoid the uncomfortable moments or the stresses of their marriage. The result is a story that is powerful and wonderful. A great story needs great actors. 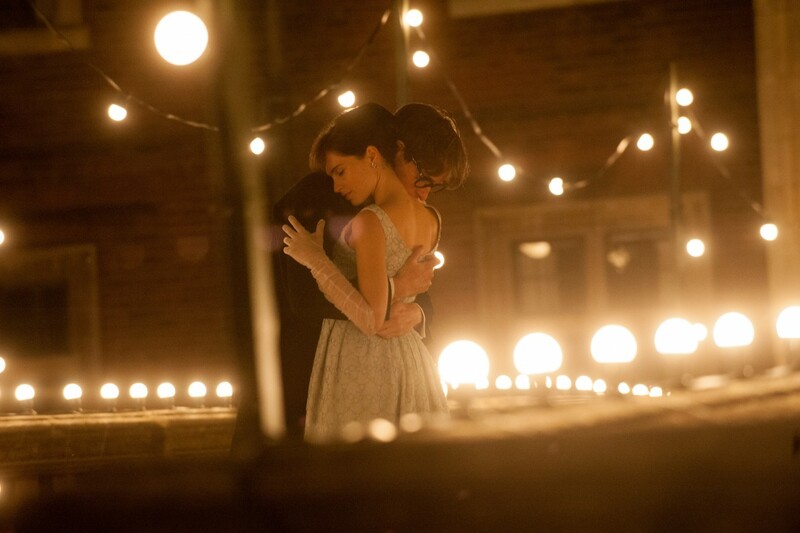 This time it was Eddie Redmayne who leads the way. 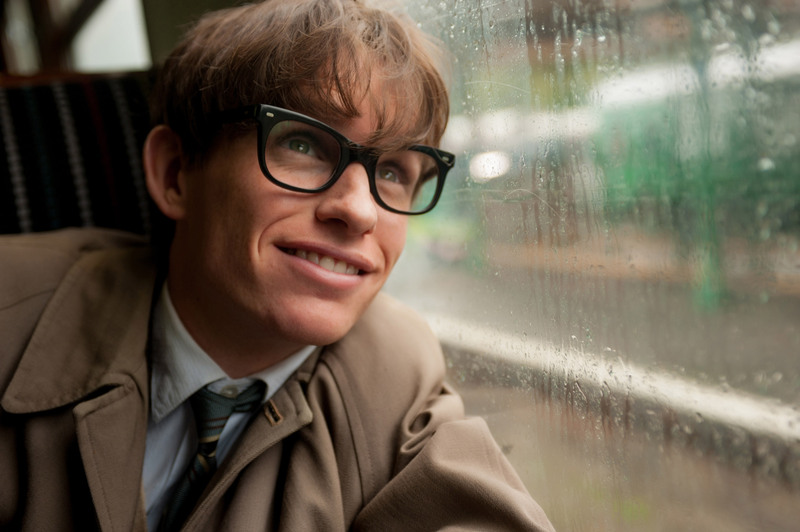 His performance is powerful and his transformation into Hawking is incredible. 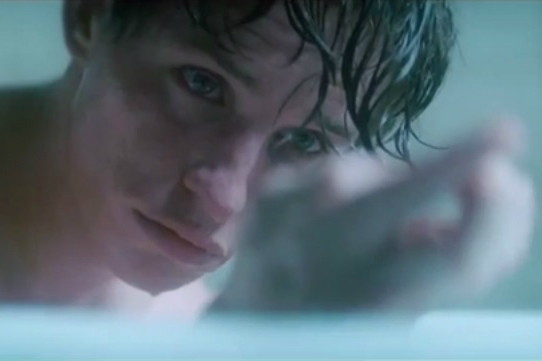 Between the physical demands and the emotional range needed, Redmayne definitely had his hands full. He was able to deliver on both sides of his role, and it’s just wonderful to watch. 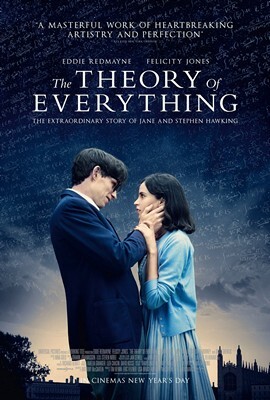 Felicity Jones had an equally daunting task with her part as Jane Hawking. Her role required a huge emotional range, and the ability to portray the same woman over three decades. Like Redmayne, she seemed to make things work perfectly. The two of them have a unique chemistry that makes this one work all the way through. Emily Watson, David Thewlis, and Charlie Cox are just a few of the people who fill out the rest of this great cast. The movie has all the right people involved in bringing the people in the story to life. Like most films depicting the past, I don’t have much basis to judge the realism of the era. Still, a great movie will re-create an era in ways that make it believable. This is one of those films. The sets, costumes, and the locations all bring this one to life. Like the rest of the movie, this had to make adjustments as the story progressed from the 1960s to the 1990s. The camera work and everything else work together to make this a beautiful film. The visuals are also accompanied by one of the better scores I’ve heard in a while. Composer Jóhann Jóhannsson (Prisoners) adds just the right touch with his wonderful music throughout this movie. This might be one of the best, if not the best movie of 2014. The acting, the writing, and everything else seem to come together almost perfectly. If you’re a fan of great drama or biographical films, this is one to check out. I would also recommend this to fans of any of the actors. Truthfully, I’m not sure who I wouldn’t recommend this one to. I give this one 5 out of 5 stars. Pingback: The 2015 Golden Globes – My Picks | Did You See That One? Jones and Redmayne were fine in this. However, I felt a bit disappointed that the material didn’t help them a lot more. Good review. Thanks for your comment. I had no issues with the material. It was a great job condensing three decades into a movie. Pingback: The 2015 Critic’s Choice Movie Awards – My Picks | Did You See That One? Pingback: The 2015 BAFTA Awards – My Picks | Did You See That One? Pingback: The Top New Films of 2014 | Did You See That One? Pingback: The 87th Academy Awards – My Picks | Did You See That One? Pingback: Elizabeth: The Golden Age | Did You See That One? Pingback: Sicario | Did You See That One? Pingback: Rogue One: A Star Wars Story | Did You See That One? Pingback: Fantastic Beasts and Where to Find Them | Did You See That One? Pingback: Wonder Woman | Did You See That One? Pingback: Darkest Hour | Did You See That One? Pingback: Early Man – Did You See That One? Pingback: Man on Wire – Did You See That One? Pingback: Fantastic Beasts: The Crimes of Grindelwald – Did You See That One?